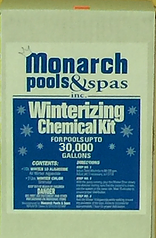 Monarch Pools & Spas has all your pool winter supplies in stock including winter chemical kits, covers, pumps and more. The one thing you won’t find on our shelf…great advice! Stop in and pick up your supplies today. We also have a fully staffed Service Department to professionally close your pool. 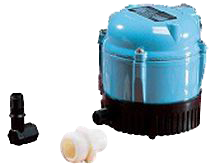 115-Volt Automatic Pool Cover Pump with a low energy consumption, permanent-split capacitor (PSC) 1/3HP motor. 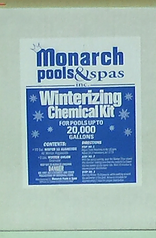 The APCP-1700 model activates in approximately 2 in. of water and deactivates in approximately 1.5 in. of water. This non-automatic 5 Series Submersible Utility Pump Water Wizard is 1/6 HP. Typical applications include commercial, industrial, and home uses where liquid must be transferred or re-circulated. Small submersible oil-filled pump with epoxy coated cast aluminum housing. For commercial, industrial and home applications including statuary fountains, water displays, air conditioners, machine tool coolants, and many other applications where liquid must be transferred or re-circulated. This compact 170 GPH pump features a 1/4 in. MNPT discharge, 7 ft. shut-off head capability, and screened inlet. This powerful pump removes water from your winter cover fast and automatically. Genius IQ350 Automatic Cover Pump pumps 350 gallons per hour. It automatically powers on and off and connects to a standard garden hose for draining. Also it comes complete with a 25′ power cord and can remove water to 1/8 off the pools cover.